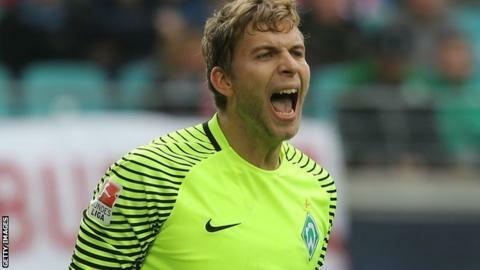 Leeds United have signed Werder Bremen goalkeeper Felix Wiedwald for an undisclosed fee on a three-year deal. The 27-year-old German made 26 appearances for the Bundesliga side last season, helping them to an eighth-placed finish. He has also had spells with MSV Duisburg and Eintracht Frankfurt. Thomas Christiansen's side start the Championship season with a trip to newly-promoted Bolton Wanderers on Sunday, 6 August.